OAKLAND, Calif. -- The city of Oakland plans to file a lawsuit against the NFL and the Raiders over the team's move to Las Vegas. The Raiders' home opener is set for Monday night, but it looks like the city where they play will file suit against them before they take the field. And this could all mean it is the last home opener in Oakland. 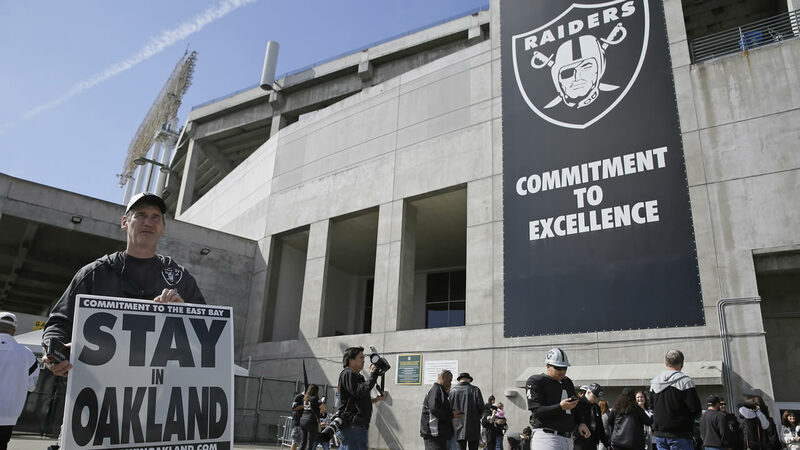 According to the San Francisco Chronicle, the city of Oakland is planning to file a multi-million antitrust lawsuit against the NFL and the Raiders because of the team's plan to leave for Las Vegas. In response, a Coliseum official tells the Chronicle if the city does file the lawsuit, the team will likely go to Vegas a year early. The mayor's office told the Chronicle the mayor had no comment. Councilman Noel Gallo is quoted as saying the lawsuit is expected to be filed and announced within the next few days and could result in winning damages of $500 million.